In a cozy soundproof recording studio housed in a decrepit downtown building, the rap musician known as Felakat lounged on a chair, surrounded by sound mixers and other sleek recording equipment. Sporting a tousled black shirt, a slick fur-lined jacket and spiky hairstyle. the Iranian rapper might well pass for an Western punk singer. Felakat is well aware that such remarks are considered blasphemy by the nation’s religious leaders. Rap music is forbidden in Iran. Nevertheless, Felakat and numerous other rap musicians are part of a thriving underground music scene. Like their American counterparts, they use obscene lyrics and often use female lead or background voices – all jarring symbols of Western decadence to the ears of Iranian authorities, who blame such music for luring the nation’s youth away from Islamic culture. In Iran, all music – except that with religious lyrics – was outlawed by Ayatollah Ruhollah Khomeini, the political and spiritual leader of the Islamic Revolution of 1979, which toppled the Shah of Iran. The cleric said music was “intoxicating,” and he promised to end the “invasion” of Western culture under the shah and promote Islamic values. But as years passed, radio and television stations began playing classical Persian music – mostly with religious themes. Felakat, who has a considerable following in a nation where 70 percent of the population is under 30, is part of an underground scene where songs are recorded in clandestine studios, burned onto CDs and distributed via a flourishing black market to stores selling religious music and vetted videos. If caught by authorities, stores can be closed, and their owners imprisoned and fined. Cover the GDC for the CBC. David Bendeth, a producer who works with rock bands like Hawthorne Heights and Paramore, knows that the albums he makes are often played through tiny computer speakers by fans who are busy surfing the Internet. So he’s not surprised when record labels ask the mastering engineers who work on his CDs to crank up the sound levels so high that even the soft parts sound loud. The inner ear automatically compresses blasts of high volume to protect itself, so we associate compression with loudness, says Daniel Levitin, a professor of music and neuroscience at McGill University and author of This Is Your Brain on Music: The Science of a Human Obsession. Human brains have evolved to pay particular attention to loud noises, so compressed sounds initially seem more exciting. But the effect doesn’t last. 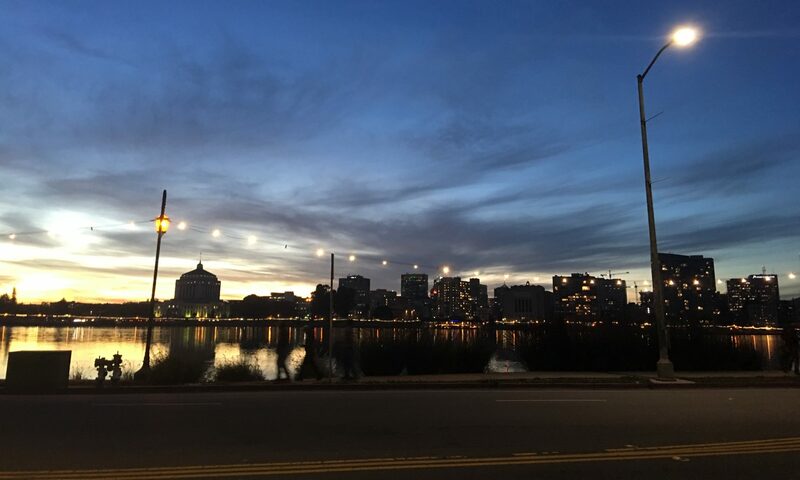 “The excitement in music comes from variation in rhythm, timbre, pitch and loudness,” Levitin says. “If you hold one of those constant, it can seem monotonous.” After a few minutes, research shows, constant loudness grows fatiguing to the brain. Though few listeners realize this consciously, many feel an urge to skip to another song. More music tourism news, but this time, from my alma mater. The Santa Monica High School marching band will be marching over the Atlantic to London, England in 2009, ringing in the new year by performing in the city’s holiday parade. The 130-member marching band and colorguard will head to perform in the New Year’s Day Parade in London, the entertainment unit’s first trip out of the country since the 1960s when it performed in Mazatlan. Besides performing, the band will spend the eight-day trip seeing the sites in England. With the opportunity to travel abroad and spend a week away from home, the number of band and colorguard members is expected to increase next year. The trip is expected to heighten visibility for the 92-year-old high school’s marching band program, boosting recruitment, especially if the trips become a regular feature for the award-winning program. “Obviously it adds to the reputation to play overseas,” Sakow said. The parade’s organizing committee contacted the band director in September to extend an invitation to perform in the 22-year-old parade whose route travels along some of the city’s most famous sites, including Big Ben, Westminster Abbey, and Piccadilly Circus. The committee learned about Santa Monica High School’s marching band thanks to Gary Locke, the long-time band director at Riverside Community College that endorsed the Viking marching band. The Philharmonic, led by its music director, Lorin Maazel, has been considering the visit since an invitation arrived by fax in August. It was a typed letter from the North Korean culture ministry, in English, accompanied by a cover letter from a private individual in California who said he was acting as an intermediary. The orchestra had the invitation authenticated by the State Department, which has provided advice and help in negotiating the terms of the visit. Mr. Hill said that he did not know how the invitation had come about. But its timing was significant, after a series of breakthroughs in a decade-long effort to have North Korea halt its nuclear program. In February North Korea agreed to shut down its main reactor in exchange for economic aid and other inducements. The reactor was switched off in July, a month before the invitation. And in September the Bush administration said that North Korea had agreed to disable its main nuclear fuel plant and give an accounting of its nuclear facilities, fuel and weapons by the end of the year. Progress toward the Philharmonic’s visit accelerated when orchestra executives and a State Department official visited Pyongyang in October. The final major logistical pieces of the concert fell into place late last week, after a visit to Seoul, the capital of South Korea, by Zarin Mehta, the orchestra’s president. The Philharmonic’s spokesman, Eric Latzky, confirmed that the trip was on, but he declined to discuss details publicly until a news conference at Avery Fisher Hall tomorrow, when it is to be formally announced. 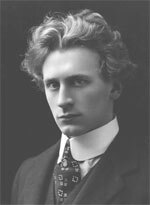 The first piece that I ever heard by Percy Grainger was “Molly on the Shore“. Its tick-tock opening of the lower clarinet and bassoon voices provide an amazing support for the rapid-fire but flowing melody for the first clarinets that remains as captivating now as it was the first time I heard it. That melody became one of the few phrases that I can easily play on my own clarinet with joy and ease. I was a freshman in high school then, but I had a chance to play that piece with many extremely fine musicians, at least two of whom have since gone on to play professionally. I’m sure that some combination of being part of a wind ensemble with some of the finest musicians I have ever played with made this music resonate with me in a way that has stuck with me my entire life. As I continued to play in high school, I found myself delighted each time our band director, Terry Sakow — himself a big Grainger fan — brought out yet another composition by the Australian composer. Nearly each one came with some little bit of trivia that made this funny-haired early 20th century composer that much more interesting, beyond the fact that he was the only composer I had ever seen who took seriously the symphonic elements of a concert band. Another thing about Grainger, he disdained the pretensiousness of musical instructions in Italian, which have been common for centuries and continue to this day. Instead of “poco a poco crescendo molto,” for example, he would write “louden lots bit by bit.” Cute. Probably my favorite thing about Grainger was that not only did he try to alter music behind the scenes, on at least one occasion he gave the finger to his listening public. In 1918, Grainger — who by this point was an accomplished pianist — wrote a short two minute piano piece based on an English folk song. It was called “Country Gardens.” For those who haven’t heard it, it’s a simple light-hearted jaunt that evokes skipping along a country road. When Grainger first debuted it that same year, the audience loved it. The tune apparently became a bestseller. However, as Mr. Sakow tells it, Grainger came to dispise the piece as more and more people fell in love with it. He was eventually commissioned to compose another version of the piece for concert band. Upon doing so, he added various points in the music where the musical phrase doesn’t resolve properly, making it sound as if the entire band is playing a wrong note. Brilliant! Later on during my stay, I got a rare opportunity to attend a concert of the Grainger Wind Symphony. During the intermission, a man brought out a player piano complete with early 20th century piano rolls — a few of us gathered round and listened to Grainger himself, playing Grainger. I was so taken by the idea of listening to a recording of one of my favorite composers that I ended up speaking to the man who was taking care of those piano rolls. He arranged for me to get CD copies of those rolls. The other day, I dug up these recordings, and copied them to my computer. I spent most of the day listening to them while doing some writing. They’re really quite good. The sound is clean and crisp. The dynamics are palatable. And they were recorded over eighty years ago on pieces of punched paper — and now I play them, in digitally reduced form. As promised, here’s the 47-minute unedited interview with MC Hammer. T-Pain rocks Billboard, and cellphone ringtones? Big ups to NPR’s Nate DiMeo for this awesome story explaining ringtones and the tech behind T-Pain, a rapper that I’d never heard of. Apparently he makes up for one in three of this week’s Billboard Top 10 tracks. Kennedy pointed out that the sweet new video to “Joe Metro” debuted this week on MTV. You guys are coming on December 16, right? The interview went awesomely! 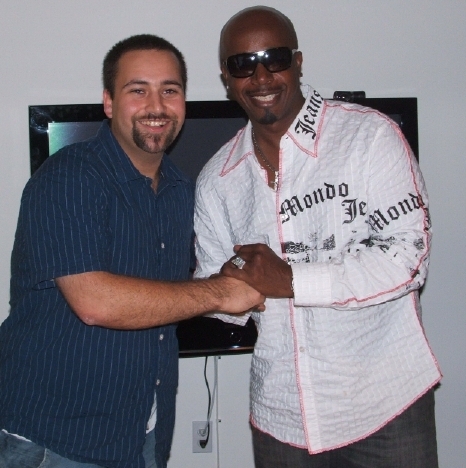 MC Hammer was a gentleman and was happy to let me monopolize his time for the better part of an hour. After the interview, we totally geeked out, comparing our iPhones — he was giddy over the Labrnyinth game for the iPhone. He was cooler than I ever could have imagined.